Please note that you cannot park at the campus. We suggest to use public parking garage Q-Park ’t Loon. 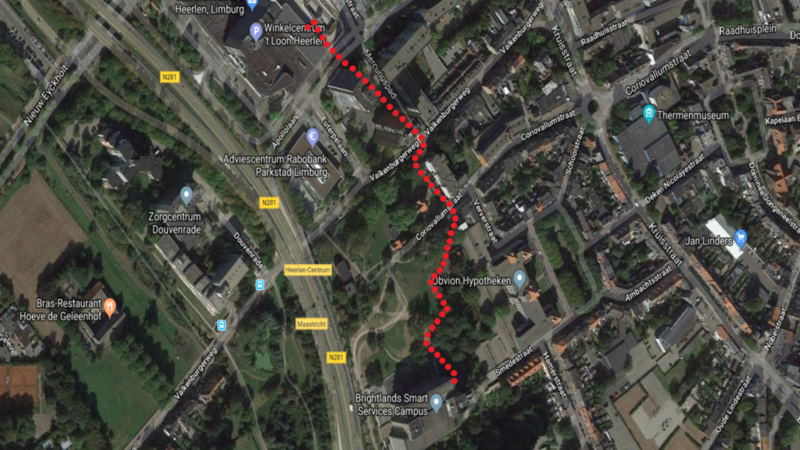 From Q-Park ’t Loon it is a 5-minute walk to the Brightlands Smart Services Campus (see map below). Parking costs are at your own expense. If you want to visit the campus by using public transport, take the train to Heerlen Station. From the train station it is a 15-minute walk to the Brightlands Smart Services Campus. Take a look at the route here. The campus can be reached by bicycle. 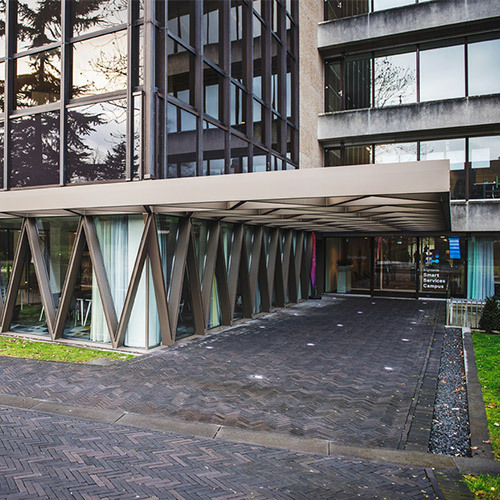 There is a bicycle parking located at the left side next to the entrance gate, at Smedestraat 2.